​Arsenal are plotting an ambitiouswap deal involving Mesut Ozil and unsettled Real Madrid star Isco, it has been sensationally claimed. 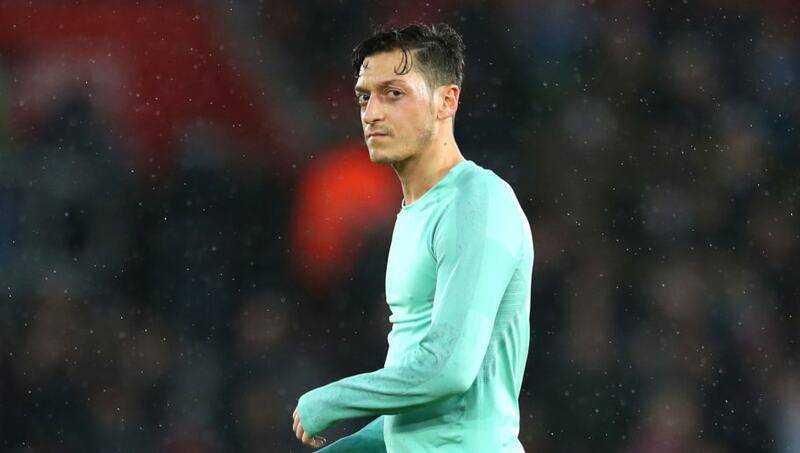 The German playmaker has seemingly fallen out of favour with manager Unai Emery, with Ozil confined to the substitute's bench for a number of recent fixtures. That has led to speculation that the Gunners may be willing to part company with their prized asset, even though he only signed a new £350,000 a week contract last January. The Independent claim that Arsenal's hierarchy will investigate the possibility of offloading ​Ozil to former club Real Madrid, in exchange for Spanish midfield maestro Isco, who is also enduring a difficult spell at the Santiago Bernabeu. Any deal is likely to prove problematic though due to the huge swathe of interest in Isco from across Europe. ​Premier League rivals Manchester City are known admirers of the Spaniard, while Tottenham and Chelsea are also rumoured to hold an interest. A departure from Spain is not out of the question though for Isco, with the La Liga heavyweights keen on completing a squad overhaul in the summer following a disastrous start to the season under former Spain manager Julen Lopetegui. Though things have improved under Santiago Solari's leadership, the changes will be still be rung in the Spanish capital - and ​Isco is a player that the Champions League holders are prepared to sacrifice. Bringing Ozil back to the club where he spent was a popular figure for three years is one option, though the valuation in players is likely to vastly differ given the age gap between the players. ​Arsenal would most likely need to stump up a hefty fee in addition to giving away Ozil, though they may decide to cut their losses on a player whose commitment to the cause has been questioned time and time again. For the time being though, manager ​Unai Emery insists that Ozil is part of his plans - though it remains to be seen whether or not the 30-year-old stays put at the Emirates Stadium this summer.